Bankrupt San Bernardino skipped its payments to CalPERS this fiscal year, an unpaid bill totaling more than $13 million, and exposed a weakness in the pension system’s legal power to collect from deadbeats. Current law authorizes CalPERS to place a lien on the assets of government agencies only if they terminate their contract and leave the system, a legal step intended to get enough money to cover the debt or “unfunded liability” for promised pensions. A spokesman for the California Public Employees Retirement System, Brad Pacheco, said the proposed legislation is on a “second track,” not necessarily prompted by the San Bernardino bankruptcy or intended for application there. At a CalPERS finance committee meeting in April, board member J.J. Jelincic asked if the proposed legislation should be an “urgency” measure, which could take effect quickly but would require a two-thirds vote of approval. “I would think that makes it much more difficult in this environment, at this time of year, to move it through,” said a CalPERS lobbyist, Danny Brown. Officials said last week CalPERS plans to wait until next year to introduce the bill. When San Bernardino filed for bankruptcy last August, staying debt collection, the city stopped payments to CalPERS this fiscal year but plans to resume next month. In the Stockton and Vallejo bankruptcies, the cities did not skip CalPERS payments. A CalPERS request to sue San Bernardino for payment in state court was rejected by U.S. Bankruptcy Judge Meredith Jury in December. She said employee pay would be threatened and the ability to reorganize in bankruptcy undercut. This month the judge approved a CalPERS request to remove a law firm representing a bond insurer, National Public Finance Guarantee. The law firm, Winston & Strawn, hired lawyers from a firm representing CalPERS in bankruptcies. The CalPERS vs. bond insurers battle in the San Bernardino and Stockton bankruptcies is widely watched because of the potential for a precedent-setting decision: Can pension debt be cut in bankruptcy, and if so whose pensions would be cut? 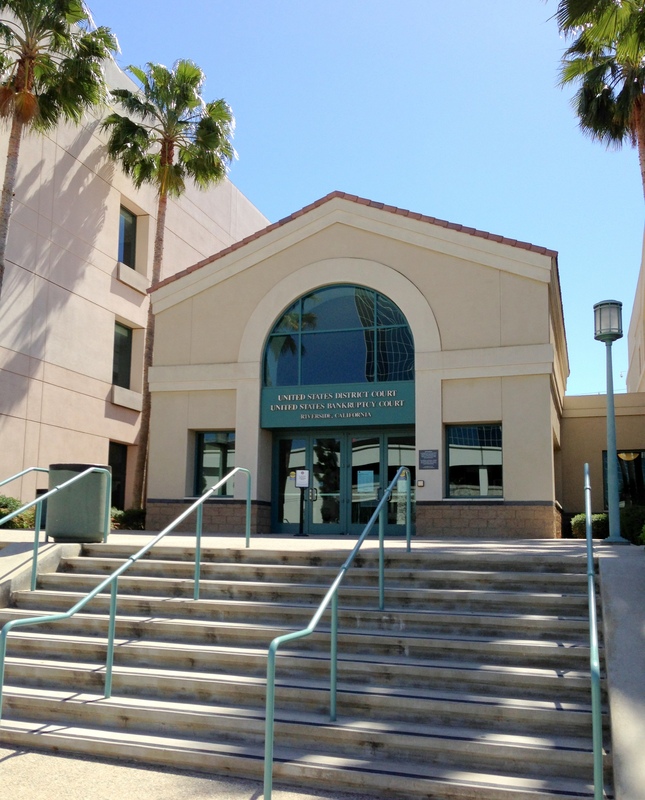 In the San Bernardino bankruptcy, where CalPERS opposes the city’s eligibility, the judge was impatient this month with CalPERS requests for more financial information from a short staff with recent turnover in two top positions. “Right now, you’ve got us in limbo — us being this process, not me, the city, everyone here,” Judge Jury told a CalPERS attorney, as quoted by Reuters. She set hearing dates of July 17 and Aug. 28. Stockton was ruled eligible for bankruptcy in April, despite opposition from National Public and Assured Guaranty. The bond insurers, who are in mediated talks with the city, were criticized this month by the judge, who set a hearing July 18. “The objectors are trying to get their way by forcing the city to incur massive legal expenses that should not be necessary,” said U.S. Bankruptcy Judge Christopher Klein. He said a more appropriate challenge to CalPERS would be in the bankruptcy exit plan. After the proposed legislation to strengthen CalPERS debt collection was publicly discussed in the finance committee, the full board approved what was only described as a proposed clarification and revision of a government code. “We are in the midst of incredibly challenging economic times that are affecting the fiscal health of our state and its municipalities and public agencies,” said a staff report to the committee. “Increasingly, public agencies are experiencing difficulty paying their debts that are due and owing, resulting in defaults on monetary obligations and even petitions for relief under Chapter 9 (of the bankruptcy code), as seen in the cases of the City of San Bernardino and the City of Stockton,” said the report. When a Compton partial payment fell $2.7 million short, CalPERS filed a lawsuit last September seeking full payment with interest and penalties. The struggling city reportedly was considering bankruptcy last summer. But the partial payment was just a “cash-flow problem,” Compton officials said, and full payment would be made in November when money arrived from an unusual parcel tax that fully funds pensions. Employer pension contributions, expenses for determining contributions, costs of administering the system, required employee contributions (including those paid by employers on behalf of employees), deficits on termination, interest on late payments, collection costs and attorney fees. In addition to placing a “present lien” on employer assets, the proposed legislation would set a process for enforcing the lien after a payment default, including notification of the employer and its creditors and the impoundment of assets. Peter Mixon, CalPERS general counsel, gave the committee the example of the vehicle license fee collected by the state Department of Motor Vehicles and returned to cities and counties. Mixon said CalPERS would try to avoid taking revenue or fees used to pay off “revenue bonds.” However, he said, a new state law might change the “first in time and first in right” priority. Board member Bill Slaton, mentioning leases on equipment, asked if a statute changing lien priority would “dampen” lending. “I think that by laying out exactly where CalPERS stands, the process that CalPERS has to go through in order to enforce that lien and actually foreclose on it — I think that is going to give everybody a better idea where they stand,” he said. This entry was posted on June 24, 2013 at 7:38 am and is filed under CalPERS, Operations, San Bernardino. You can follow any responses to this entry through the RSS 2.0 feed. You can skip to the end and leave a response. Pinging is currently not allowed. Cal Pers originally lied about their solvency, ie, declaring they were solvent when they weren’t. Now they want to place a lien on government assets since they Cal pers is not solvent. Maybe Cal Pers should be sued or jailed for lying about their solvency. A thief is a thief, is a thief, by any other name. Sounds odd. In a bankruptcy the Court settles things and I don’t believe CalPERS putting a “lien sticker” on an asset means they they will get that asset vs another creditor of equal status. Judge Klein could not be more clear. Section 904 of the bankruptcy code prevents the court from interfering with any of the political or governmental powers of the debtor. That is why he allowed Stockton to set aside health benefits. But Stockton did not ask the judge to set aside or modify pensions, but if it had, section 904 would require him to comply. Vallejo, Stockton and now San Bernadino have not requested a modification of pensions under section 904, so after coming out of bankruptcy they will be, like Vallejo, financially dead. John, I’m not so sure Stockton will be exiting Bankruptcy without pension reductions. Judge Klein hinted at this when he allowed the bankruptcy to go forward. He seemed to be aiming at the 1999 pension enhancements. A rollback of these increases (ESPECIALLY those retroactively applicable to PAST years of service) would be at the top of my list of very appropriate reductions. I agree with what TL says, but my point is that if the City had requested modification of pensions, relief was assured by the very explicit terms of section 904. Usually when you are held up they use a mask and a gun; not these fools; they just get their friends in Sacramento to hold onto the hostages and demand money so they can keep on doing these things.